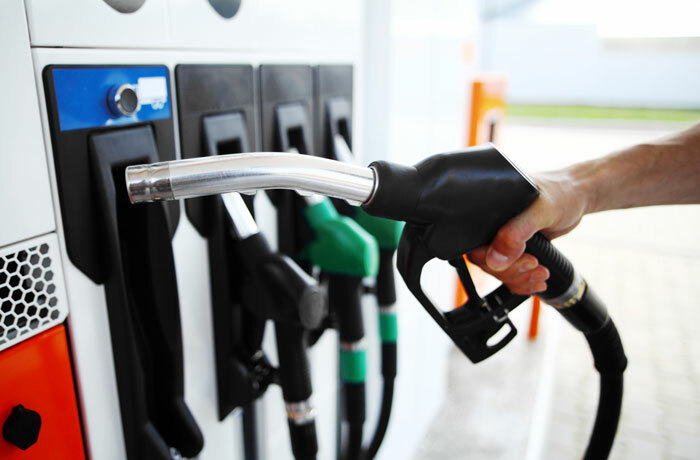 Car owners today are often in a dilemma between regular fuel and premium fuel. Is it okay to stay with the regular fuel? Or should you spend little more for premium fuel? As per the claims made by fuel giants, premium fuel will protect the car better compared to ordinary fuel. They have further stated that the high priced fuel would also reward with more fuel efficiency. So, what’s the actual picture? It’s to note here that premium fuel carries higher octane level compared to regular fuel. While the octane rating for ordinary fuel is something like 87 to maximum 93-95, it is up to 98 for the premium counterpart. Now, it is true that higher octane rating (RON) results in better engine performance. Some of the fuel companies offer premium fuel with as much as 102 RON. This is one of the most important facts when it comes to premium fuels. It’s to stress here that premium gas is meant to eliminate knocking risks for vehicles with higher compression ratios. When you pour low-octane ordinary fuel inside a steam with high compression level, the gas would ignite prematurely. It will result in unwanted knocking and rattling of the engine which will damage the car in no time. In fact, according to experts, knocking should not be encouraged by any means. A persistent knocking can even disintegrate the engine. When you use regular fuel with high compression engine, the cylinder’s air-fuel mix detonates before rising to the peak of compression stroke. It consequently leads to ignition before time. As a result, the elevated piston is forced to face the pressure of fast expanding gases arising from explosion. The gases in turn force down the piston on cylinder. If you try to reverse rotation of engine in such a stressful situation, the piston will crash down just like that. Thus, it is safer not to use regular fuel with high compression engines. We saw in the previous point that premium fuel is designed to eliminate risks of engine knocking. In simple words, knocking is the state where unburned gas pre-ignites in vehicle’s engine and thereby damages the internal components. Now, a higher fuel RON assures more controlled burn of the engine. Such a composed ignition invariably lowers knocking threats and reduces internal damage as well. Thus, if you use premium fuel in your car, you will experience lesser and slower risks of wear and tear of the engine. But then, it’s also to point out that the knocking risk with regular fuel applies to cars with high compression engines. Most of the luxury cars are engineered with high compression engines and hence demand premium fuels for better ignition and maintenance of the engine. However, if you are driving a small or mid-sized car with regular engine, the ordinary fuel would do. How much the price varies between regular and premium fuel? According to reports, premium fuel is something like 11p more compared to regular fuel. If the average price of regular petrol is 103.49p/l, it is 114.05p/l for the premium option. On the other hand, if the average price of regular diesel is 104.01p/l, it is 116.94//l for the premium counterpart. Premium fuel carries detergent additives which will keep the engine clean. Isn’t that the regular fuel too comes with detergent additives today? You are right. But the fact is that the leading fuel companies power up the premium fuel with double volume of detergent additives compared to what you find in regular ones. Thus, premium fuel will keep the engine way cleaner than any regular fuel. A well cleaned engine always performs better and consequently enhances the efficiency quotient of the car big time. The premium fuel makers have long claimed about the higher fuel efficiency brought by premium fuel compared to the regular option. Is it true? Well, some of the drivers have actually observed slight improvement in miles with premium fuel. However, others have noted that the difference is very little. Once again it will depend on your type of vehicle and also how you actually drive. So, how does premium fuel improve mileage- even if it means by a little? We know by now that premium fuel is rich in high octane rating. A fuel with higher RON burns with more efficiency and consequently you get higher power for lesser volume of fuel burned. Experts suggest a small test to verify whether premium fuel would improve the mileage of your car. Just use the fuel thrice in your car and look out for changes. If you notice a change, you can opt for premium fuel. If not, stick to the regular option. So, what is the right option for you? In the light of the above discussion it seems that premium fuel is truly more advanced and efficient in comparison to regular fuel. But would you need to opt for it? Well, that depends on your car and its engine. If you are using an elite steam with high compression engine, never use regular fuel. We have discussed how low-octane fuel can shatter the piston. Premium fuel is the best option for premium cars. But a small vehicle with ordinary engine would be okay with regular fuel. Using premium fuel here is an unnecessary waste of money. It’s to note here that regular engines don’t have the same high compression ratios & engine temperatures the way we see with supercharged and turbocharged engines. It means they have not much to benefit from pricey premium fuel. Another tip would be to check your vehicle handbook for the engine fuel specifications. If the manufacturer has used the term “recommended” for premium fuel- you can safely go for a regular option. But if the handbook has used the word “required”, you have to invest on premium fuel for the betterment of your car.